Dress in old clothes and put on protective gloves. 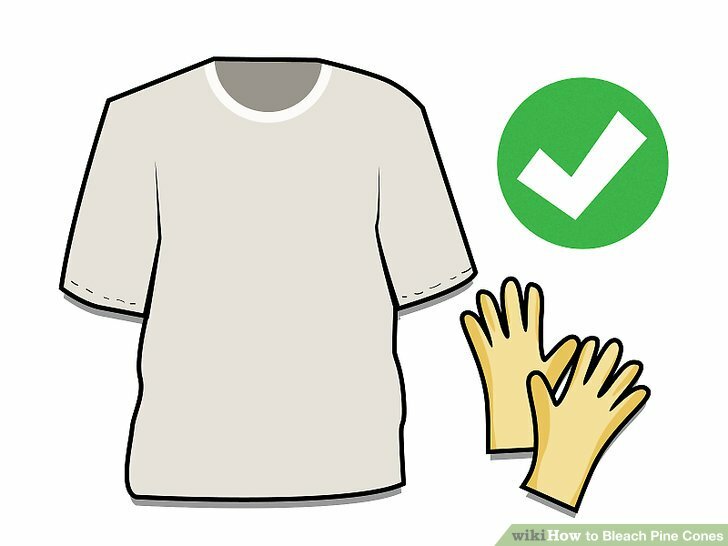 Because you will be working with bleach, which can permanently marr your clothing, make sure you are wearing old clothes that you won’t mind getting dirty. You also want to wear rubber gloves to protect your hands from the bleach, which can irritate and even burn your skin. 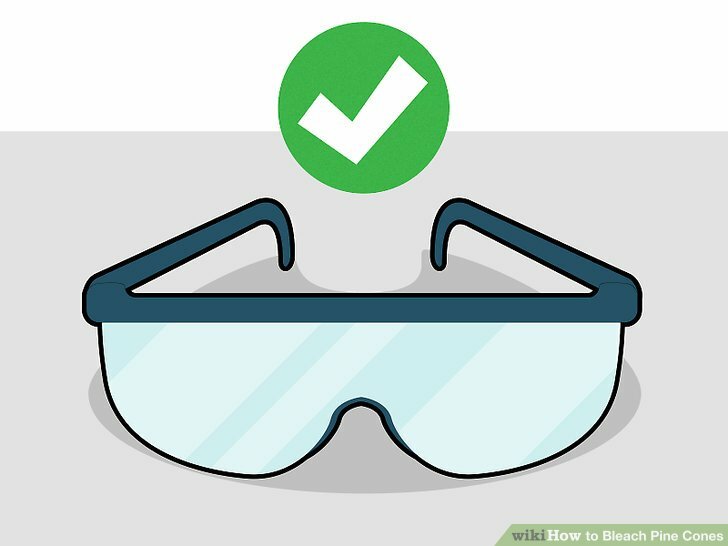 Wear protective glasses, especially when pouring the bleach into the water. You don’t want any splashes getting into your eyes. 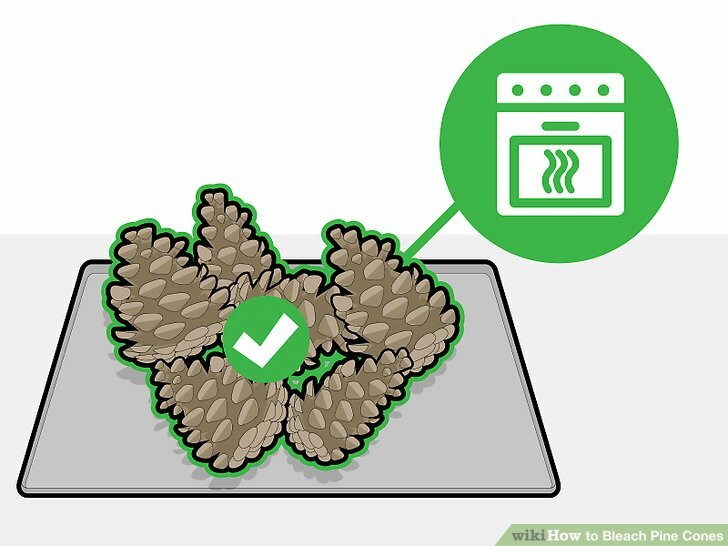 Make sure the pine cones are completely open and dry. 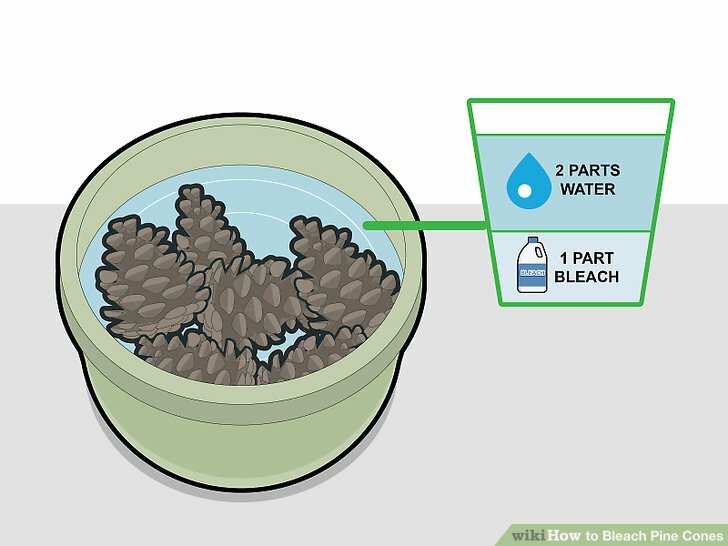 Wet and closed pine cones will not bleach well. Put the pine cones in your bucket. 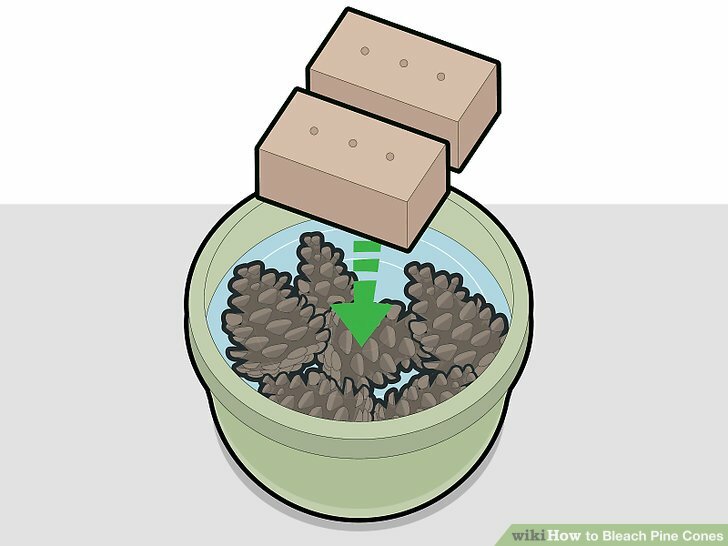 If you are working with a lot of pine cones, then a five gallon utility bucket will be best. It will have enough room to allow the solution to cover all the pine cones. But, if you are working with smaller pine cones, or with only one or two, then something smaller can work. Add 2 parts water to 1 part bleach to the bucket. Make sure there is enough solution to cover all the pine cones. 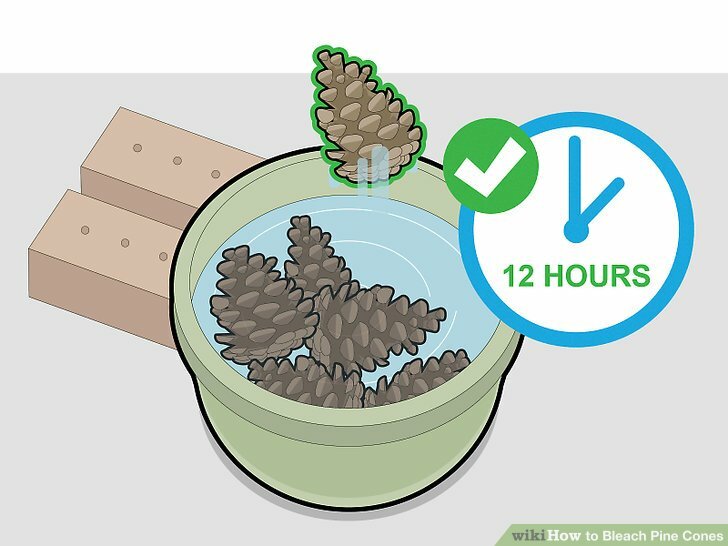 Put rocks or bricks on top of the pine cones to hold them down in the solution. 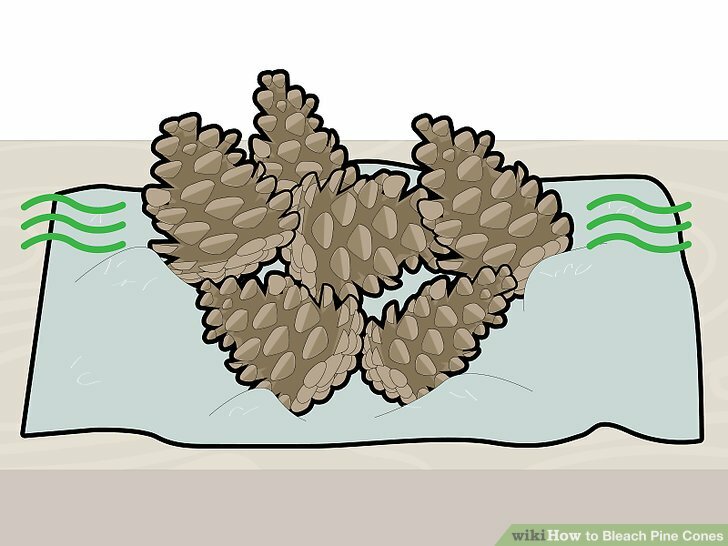 The pine cones will start to float, so you will need at least two rocks or bricks. If some pine cones escape from under the rocks or bricks, then add another rock or brick to make sure they all stay down. 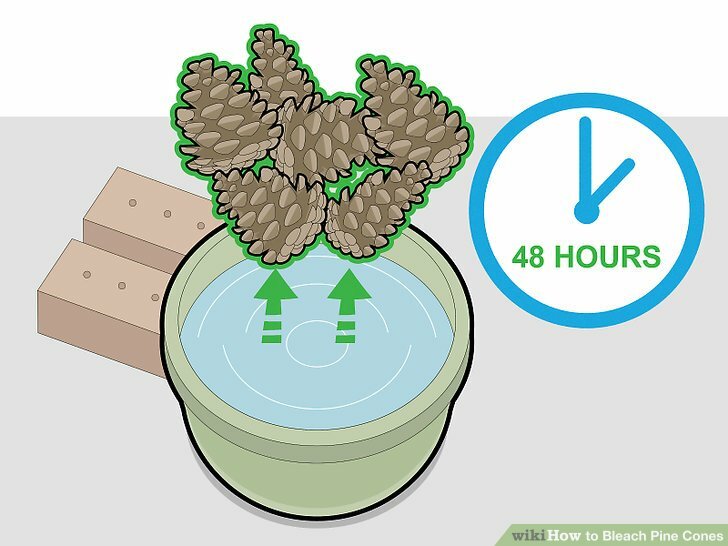 Let the pine cones sit in the bleach water for up to 48 hours. This will give the solution enough time to work. Check the pine cones after 12 hours. Some of the smaller pine cones might be ready. 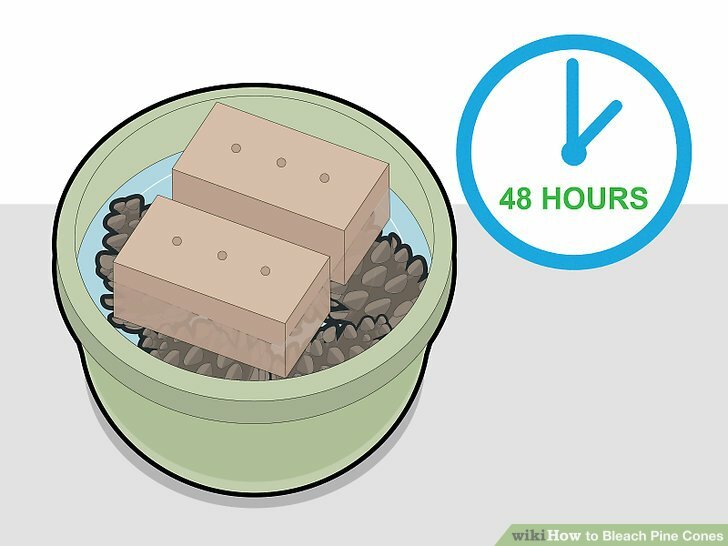 Remove the pine cones after 48 hours. Put back on all the protective gear–the old clothes, gloves, and glasses– and gently take the pine cones out. 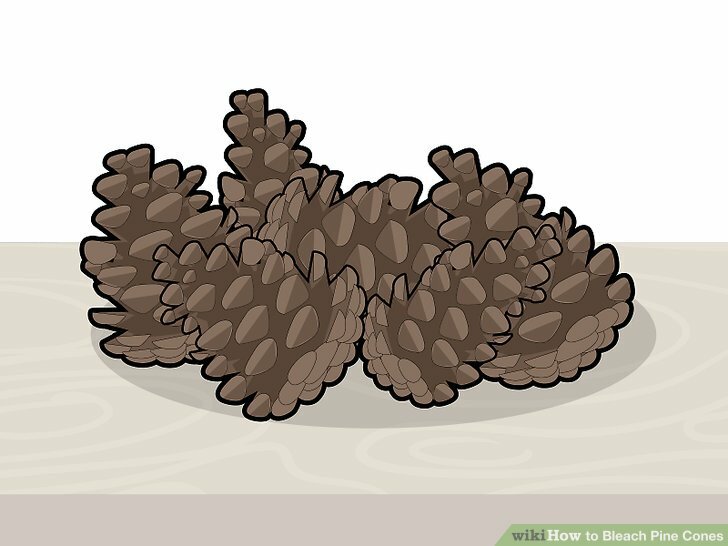 Place the pine cones on a surface to dry. A tarp, baking sheet, paper towel, or old towel that you won’t mind getting bleach on all will work. The pine cones may take up to a week to dry. Take them off the drying surface when they are dry and open again. 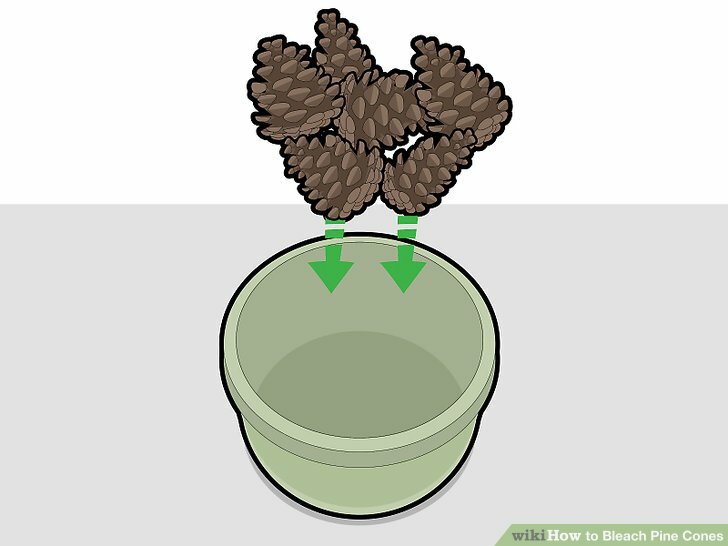 The pine cones should be as dry and open as they were before you poured the solution on them. Bake the pine cones if you don’t want to wait a week. After you take them out of the bleach solution, let them dry for 24 hours and then bake them at 250 degrees until they open.